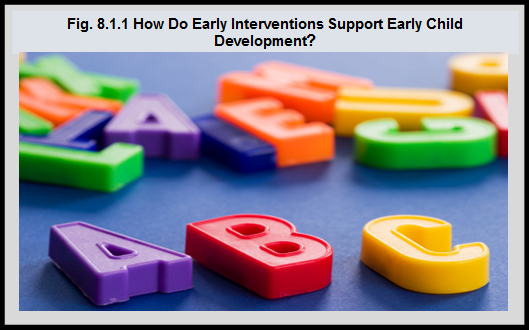 Home Modules Module 8 Section 8 How Do Early Interventions Support Early Child Development? 1Center on the Developing Child at Harvard University. The Foundations of Lifelong Health Are Built in Early Childhood. Cambridge, US: Center on the Developing Child at Harvard University; 2010. http://developingchild.harvard.edu/index.php/resources/ reports_and_working_papers/foundations-of-lifelong-health/ – accessed May 22, 2017. 2Marmot M, Allen J, Goldblatt P, et al. Fair Society, Healthy Lives: The Marmot Review. London, UK: The Marmot Review; 2010. http://www.instituteofhealthequity.org/resources-reports/fair-society-healthy-lives-the-marmot-review– accessed May 22, 2017. 3Thomas EM. Readiness to Learn at School Among Five-Year-Old Children in Canada. Ottawa, ON: Statistics Canada; 2006. 4Janus, M. & Offord, D. (2007). Development and psychometric properties of the Early Development Instrument (EDI): A measure of children’s school readiness. Canadian Journal of Behavioural Science, 39(1), 1-22. https://edi.offordcentre.com/wp/wp-content/uploads/2015/10/Janus-Offord-2007.pdf– accessed May 22, 2017. 5Santos R, Brownell M, Ekuma O, Mayer T, Soodeen R-A. The Early Development Instrument (EDI) in Manitoba: Linking Socioeconomic Adversity and Biological Vulnerability at Birth to Children’s Outcomes at Age 5. Winnipeg, MB: Manitoba Centre for Health Policy; 2012. http://mchp-appserv.cpe.umanitoba.ca/reference/MCHP_EDI_Report_WEB.pdf– accessed May 22, 2017. Source: Text and data adapted using the Canadian Institute for Health Information. Children Vulnerable in Areas of Early Development: A Determinant of Child Health. Ottawa, ON: CIHI; 2014.